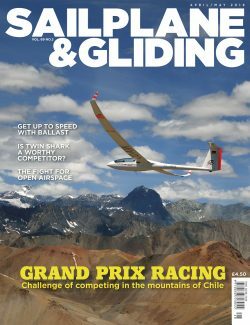 Find out what makes the HpH Twin Shark a worthy competitor in the April/May issue of S&G, where you can read about the challenges of competing in the Sailplane Grand Prix Finals in Chile. There are also top tips on how up-and-coming pilots can progress to using water ballast. Plus, as we find ourselves facing a tsunami of lower airspace change proposals, find out why the system must change and how you can get involved. Swedish pilot Mikael Roslund travelled to the Czech Republic to experience HpH’s prototype Twin Shark. Well balanced and harmonious to fly, Mikael found it to be “among the finest two-seaters I’ve flown” and a worthy competitor to the Arcus and the ASG 32. 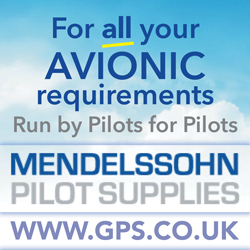 In January, UK pilot Jon Gatfield flew in his first Sailplane Grand Prix Finals. Held in Vitacura, Chile, Jon reports that it was some of the most challenging but rewarding flying that he has enjoyed. The scenery is incredible in what is, at times, an intimidating environment. Good mountain experience is essential to fly the Andes, which Jon found very different from flying the Alps or Pyrenees. Want to go faster? If you are considering using water ballast to speed up your tasks for the first time, help is at hand with the latest Ask the Coach feature. In this issue, Tony Cronshaw asks coach Kevin Atkinson how to get started and the best strategies to use, with safety not just performance in mind. 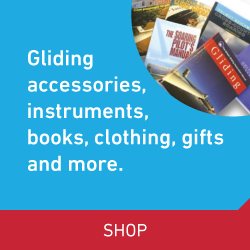 General aviation, including gliding, is facing an unprecedented threat from the growth of controlled airspace. We are facing a tsunami of lower airspace change proposals, posing a significant threat to the viability of gliding and increasing risk for the majority of airspace users operating outside the proposed airspace. We have to do all we can by whatever means to safeguard our interest against the current flood of ACPs. The airspace article in this issue explains why the system must change and how you can help make a difference. Also in this issue: Winners of the BGA trophies for 2017. Shaun Lapworth investigates whether FLARM is the answer in the third part of a series on electronic conspicuity. Alan Langlands explains the basics of competition scoring. Katharine York reports on a new BGA women gliding project. René Lans reflects on how he walked away from a near fatal crash without a single scratch or bruise. Ebenezer Grimshaw breaks taboos, dispels myths and restores reality for newbies. Mark Dalton wonders why weather forecasting is not as easy as the club ‘experts’ make it seem. David Innes has another cautionary tale about the pitfalls of using portable devices in the cockpit, explaining why you shouldn’t trust your phone’s attitude indicator in flight. Qin Cao reveals how life as a lightweight pilot can be tough. BGA development officer Alison Randle looks at what you can do outside your club to attract more people into gliding. There’s a report and lots of pictures from the 2018 BGA Conference. And there are many more of your stunning images in the Gallery pages.